We use poly-wood case to pack the stone floor polisher. It was designed for grinding and caring marble and widely usedfor grinding and polishing stone floor in hotel, building and villa etc. It is stable in performance,light in handling,smooth operationhigh efficiency,low noise,low failure rate. It’s the boutique among stone care machines. 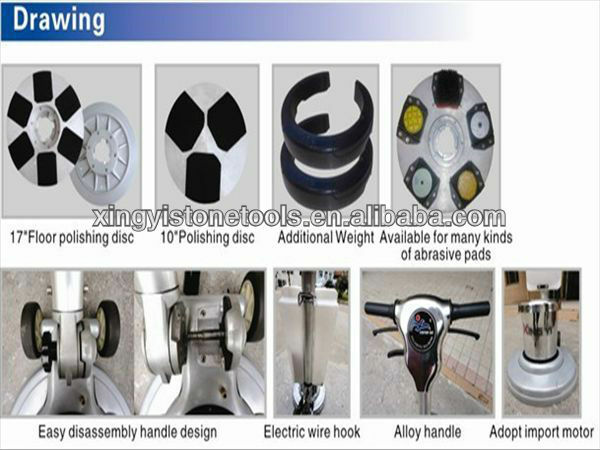 1.The handle and plate are made ofaluminium alloy,not easy to damage,strong and durable. 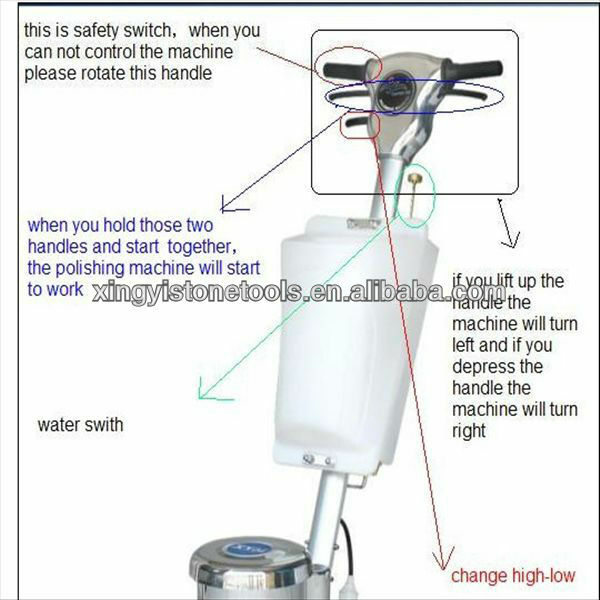 2.Adopt European new style:adjustable handle system.It's easy to be handled. 3.Thismultifunctional machinesets floor washing,stone grinding,stone polishing in one. 4.The additional iron is optional. You can increase or decrease it.Flexible and easy to operate. 5.Multi-usage,fission type,it can be used as stair renovation machineafter remove the grail. 1. 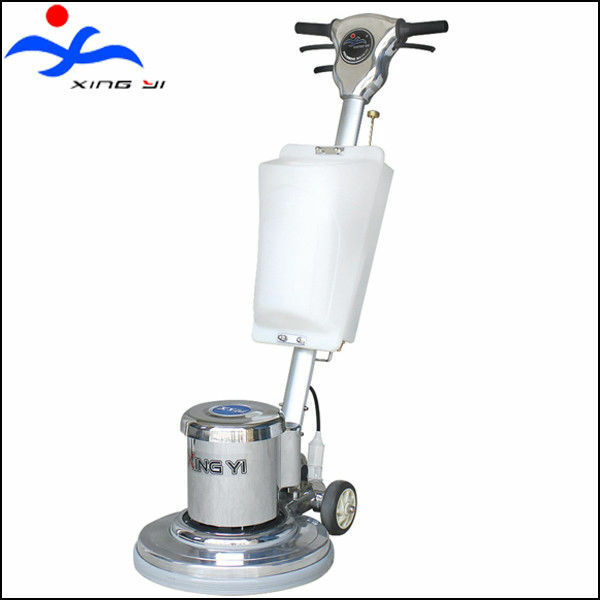 The details of stone floor polisher XY-175AE. 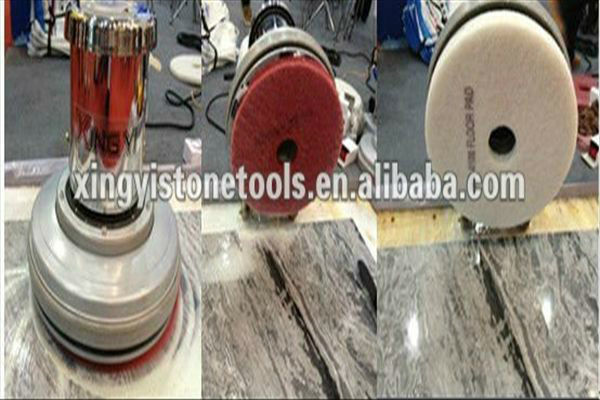 2.The equipment of our stone floor polisherXY-175AE. 3.Grinding disc of 17inch and 10inch. 5. 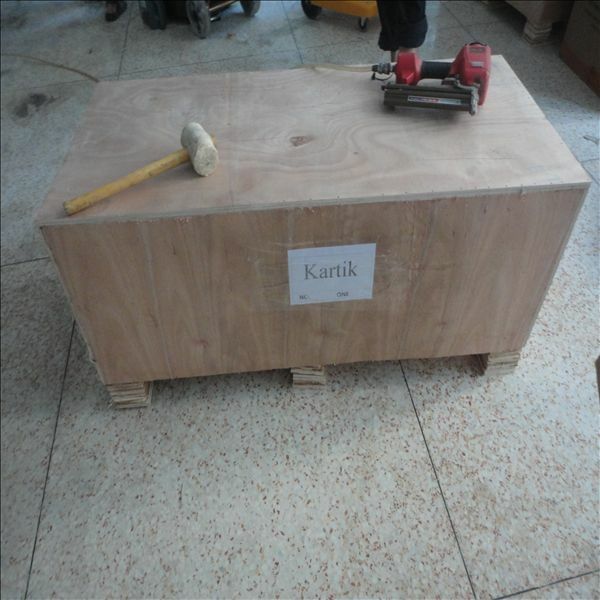 The packing of our stone floor polisher. 6.We could provide system products for polished concrete and stone caring. (we are also the manufacturer). 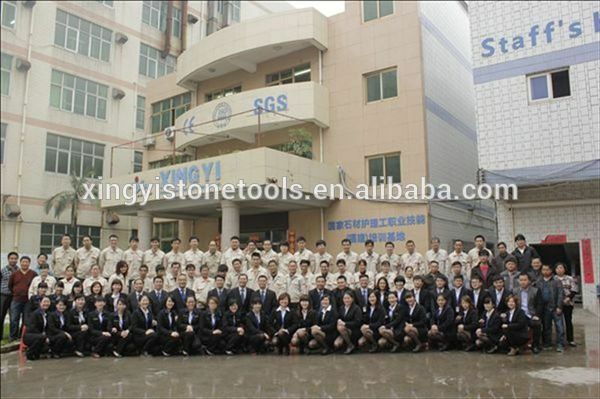 (1) Xingyi specialize in manufacturing floor polishing machine, diamond tools and maintaining liquid since 1999. (2) Xingyi developed the 1st remote control grinder in China. 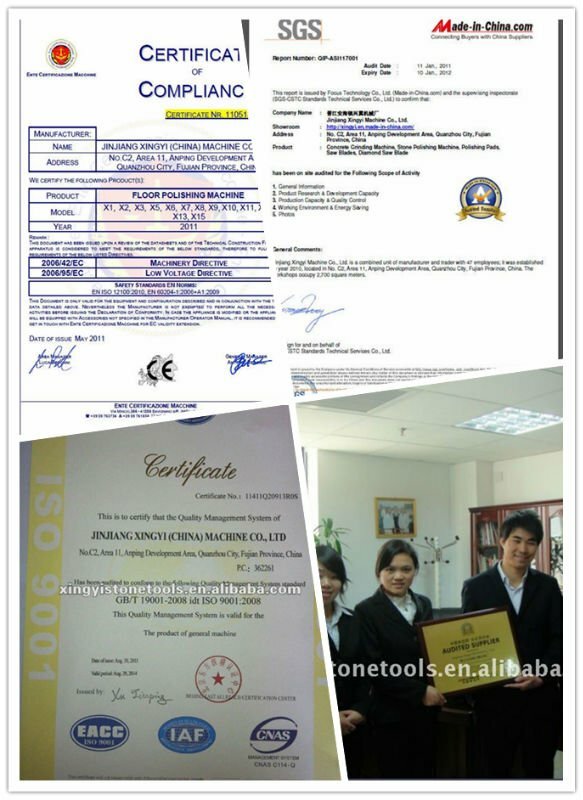 (3) Our products passed CE,SGS,ISO9001 certificate. (4) We hold the international floor concrete grinder seminar at least 2 times/year. 1. What kind of polishing machine do you provide ? C. 380-440V 3 phase, 220-240V 3 phase, 220-240V single phase. 2. 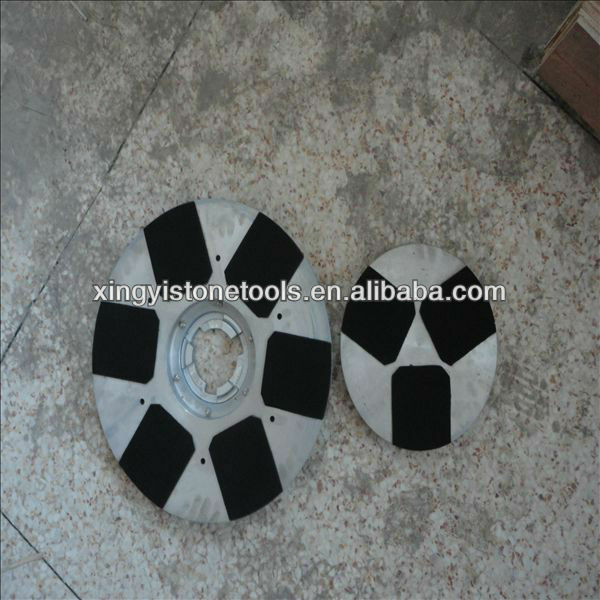 What kind of polishing pads do you provide ? C. Turbo cup wheels: Different segment quantity with different size. 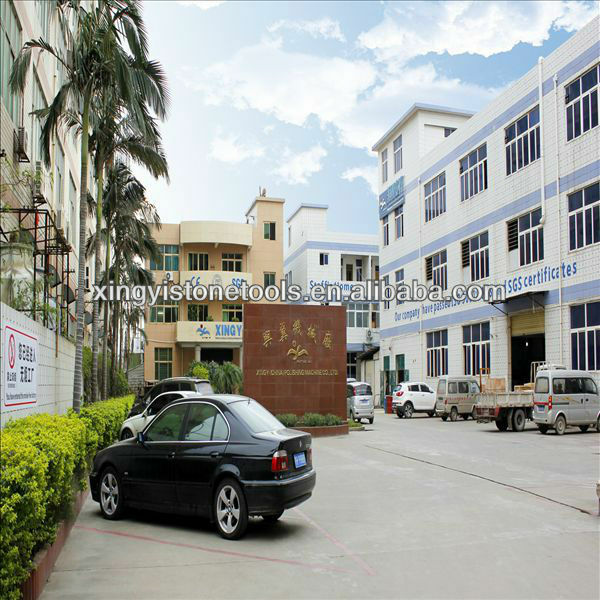 If you need any details, pleasse feel free to contact with me and welcome to our Xingyi factory.